Winnipeg's downtown Hudson’s Bay Company building presents some challenges for our city — but also a tremendous opportunity to rethink what "heritage" means in a post-colonial city, say architects Wins Bridgman and Rae St. Clair Bridgman. 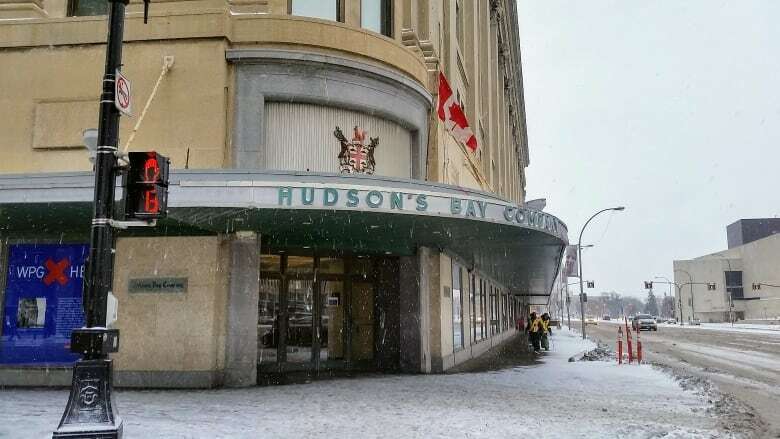 Winnipeg's downtown Hudson's Bay Company building presents some challenges for our city — but also a tremendous opportunity to rethink what "heritage" means in a post-colonial city. The challenges with the Portage Avenue building are obvious — at 650,000 square feet, it's large and expensive to renovate. It's also been at the heart of a debate between advocates who supported the building's heritage status and the building owners, who did not. Why not celebrate the Bay as the place for radical heritage practice? One that engages in a conscious act of reconciliation. One that simultaneously rethinks economics, politics and history, even future urban development in Winnipeg. The Bay can be a place that rethinks how we both preserve and reuse heritage spaces, and remember their stories (along with the teachings they offer). The Bay building presents challenges, though, that mean some would rather simply write it off. The building also now represents a grand, if weathered, gesture on the outside and a partially derelict, underutilized space on the inside. Four floors stand empty. Its two large murals, including The Pioneer at Fort Garry, 1861 (featuring a trading day at Upper Fort Garry), were removed several years ago and donated to the Manitoba Museum. As with many inconvenient truths and the objects that represent them, we have an urge to sweep them under the great proverbial rug. Many buildings and monuments have been demolished, representing what are now understood as colonialist, divisive, racist ideas, with the earnest desire to start over again fresh and new. The tearing down of residential school buildings and historic mental health institutions comes to mind. Such sites of conscience represent dark, difficult chapters in the history of Canada. The rationale for demolition, however, is often falsely addressed in terms of economic, structural, fire safety or other building science terms. All these issues can be dealt with through meaningful consultation, imagination and expertise. Should we demolish or preserve remaining residential school buildings? The argument against building demolition now must shift from ideas about preserving certain cultural values from Winnipeg's past to actively engaging with each other about multiple social and cultural values — in order to build a future of reconciliation together. The heritage movement in Winnipeg (founded in response to the demolition of Old City Hall in 1962) initially focused on Winnipeg's architectural history from late 1880s to 1910, understood as a defining period. But there's a crisis when a heritage monument or building (or the very name of a building or street) is deemed to have a corrosive cultural value and negatively impacts a group — a crisis severe enough that there may be calls for removal or demolition of the offending forms, names and places. In response to these important and potentially divisive arguments, The Burra Charter — a set of principles guiding the conservation of culturally significant heritage places in Australia — redefined the heritage movement's approach to go beyond mere preservation of the built environment. Heritage encompasses cultural engagement, while maintaining the importance of non-erasure. Article 13 of the charter states "Co-existence of cultural values should always be recognized, respected and encouraged. This is especially important in cases where they conflict." Although the Bay contributes immensely to urban form, architectural detailing and material legacy, we believe its greatest potential legacy lies in its future adaptive reuse and the co-existence of cultural values. Make this our heritage policy. Designate only the building shell and the concrete structural system. Allow the building's development process to be flexible and pragmatic. 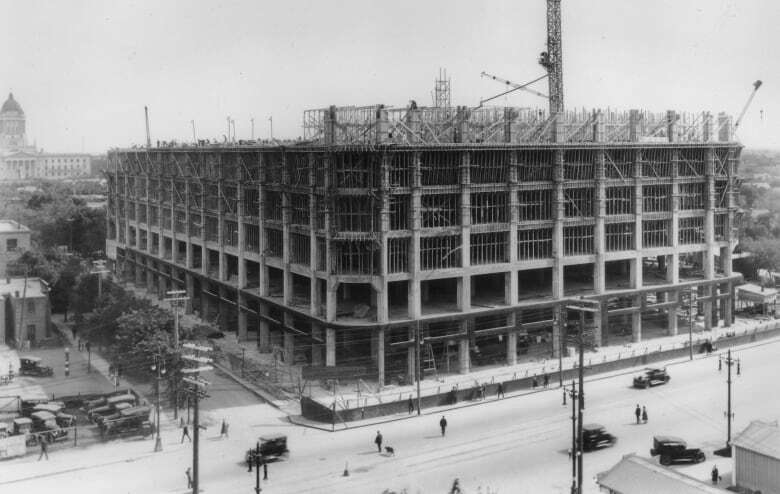 If the building is too wide and does not let in enough light, excavate atriums or areas of the building to allow for adequate light, ventilation and views, while keeping the façades on Portage, Memorial and Colony intact. If the project is too big, sever parts of the project vertically, to allow for multiple ownership models. If the project requires more areas for prime residential development, the roof can support four more floors. 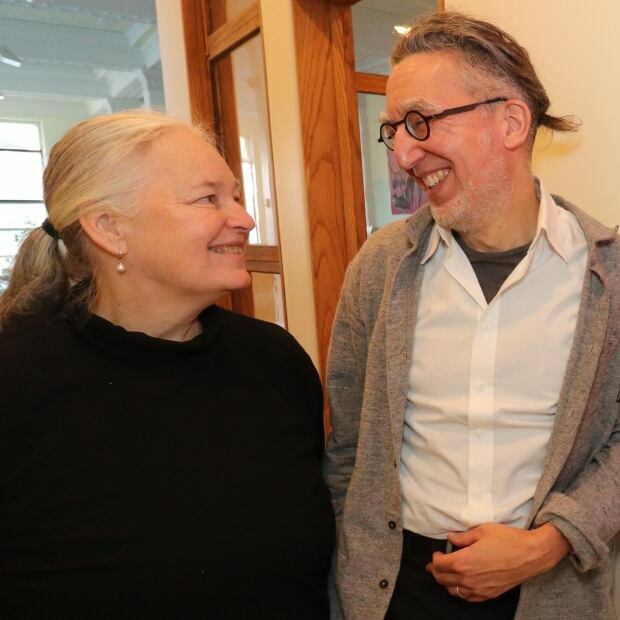 A model of creative collaboration is possible. So, what does a post-colonial city look like? Let's give each other permission to discuss change. What have we done in the past to have this discussion, and how well has it worked? What about the Aboriginal Centre of Winnipeg in the former Canadian Pacific Railway Station at Higgins and Main, for example? Why does the building, after so many years still feel, well, like a train station? How do we help our city feel excited about the possibilities inherent in our tremendous legacies? That we are all part of the conversation? That each of us belongs here equally, because we choose to live here? In Winnipeg, we can look forward to engaging in the National Trust Conference here come October 2019. This annual conference is held in association with the Canadian Association of Heritage Professionals. A wide range of people come together to explore how historic places help build vibrant communities and sustainable economies. We'll be tussling with many issues — including the Bay. Wins Bridgman and Rae St. Clair Bridgman (a professor in the department of city planning at the University of Manitoba) co-direct BridgmanCollaborative Architecture, which specializes in heritage architecture and new design.